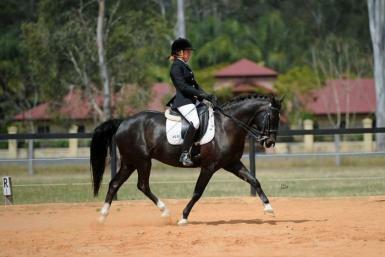 FIRST TIME OFFERED FOR SALE – FEI Small Tour Pony Dressage Schoolmaster. 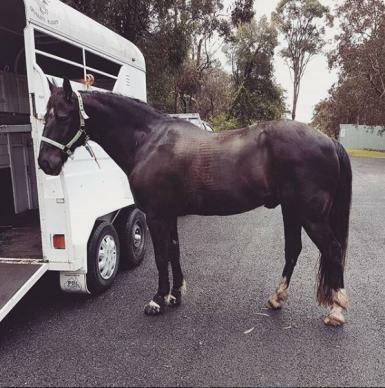 Black gelding DOB 15-12-05, life measured 145.4cm/14.1 ¼ hh. 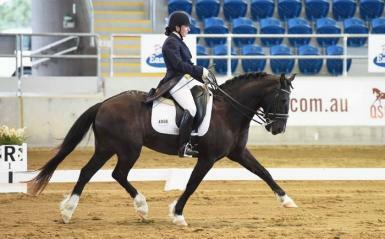 Competed to Official FEI Inter 1 with Small Tour scores up to 62%. 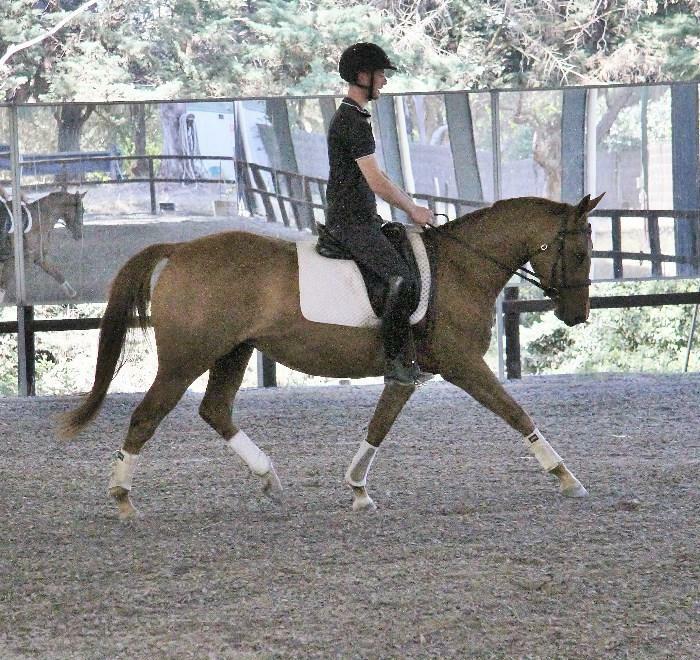 Training 1x tempis, piaffe and passage. 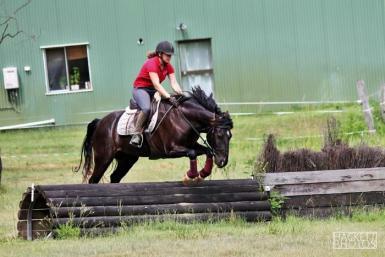 Holds his own in Open competition with more yet to come. 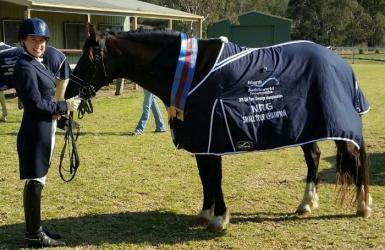 - 2011 QLD State Pony Preliminary Champion in his first year of Official Competition as a 5yr old. 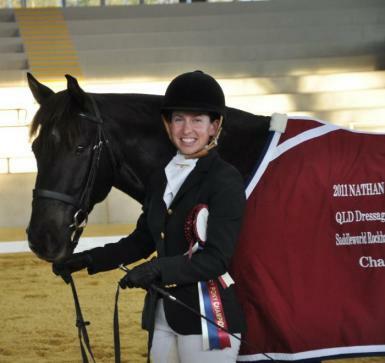 - 2015 QLD State Pony FEI Small Tour Champion. 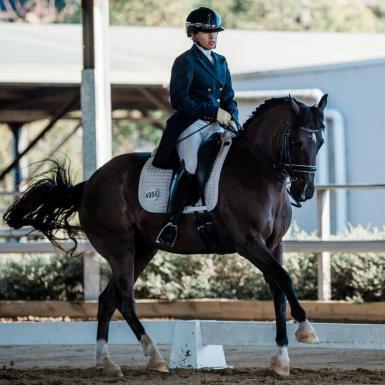 - Achieved 60% in his CDI debut at Inter 1 in 2016. 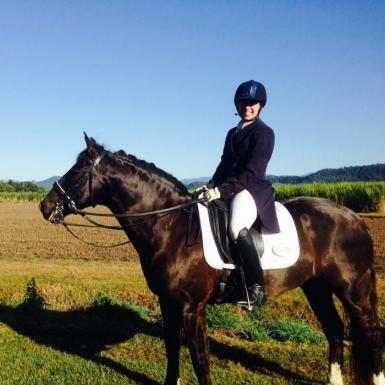 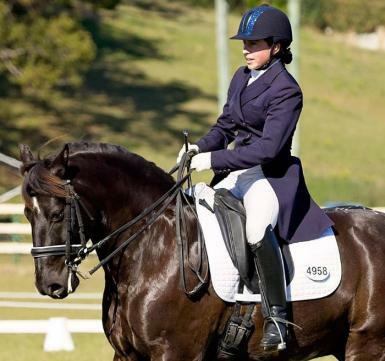 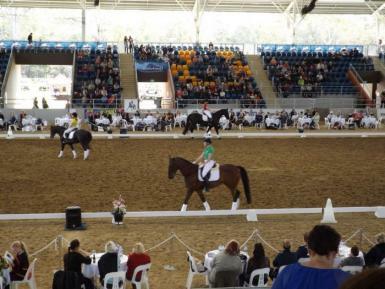 - Twice demonstrated at the QLD Dressage Festival. 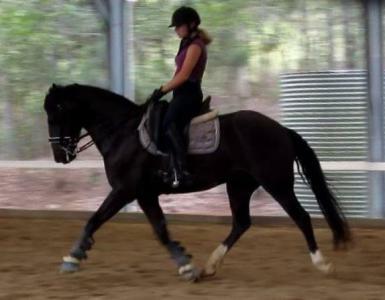 Star Crossed is a perfect gentleman under saddle and on the ground. 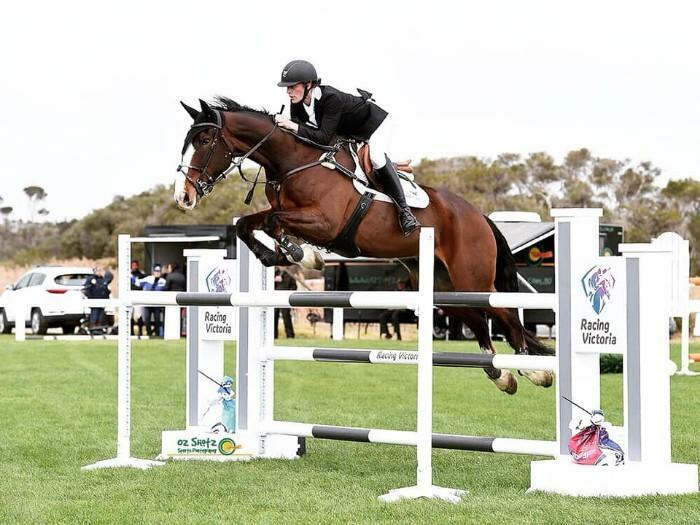 He has been trained completely by me from a foal, and throughout his competition career under the instruction of Anjannette Harten, Brett Parbery and Vince Corvi. 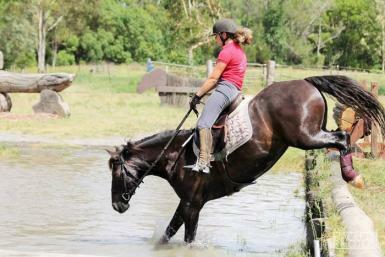 Star Crossed is absolutely reliable in all situations, atmosphere and weather conditions. 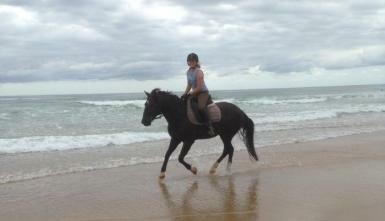 He is lovely to hack out alone and in company on the trails and is often ridden at the beach. 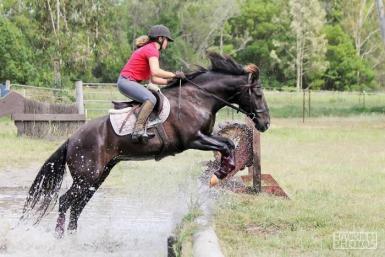 He has limited jumping experience to 80cm but is bold cross country and has a neat style. 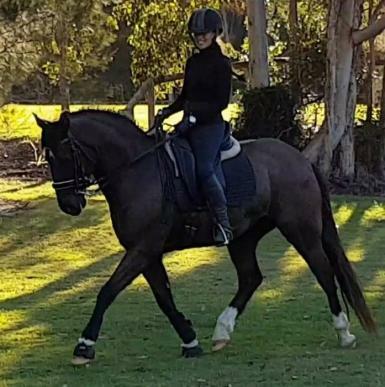 Very handsome, no scars, so as well as a dressage schoolmaster would also make a lovely show/working hunter. 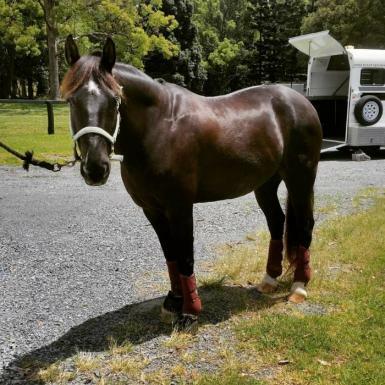 He is barefoot, and perfect to travel - he self loads and never moves a muscle during a trip, angle or straight load. 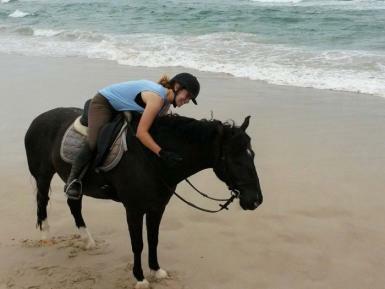 He is the favourite of my non-horsey partner as he is so safe and easy to do everything with. 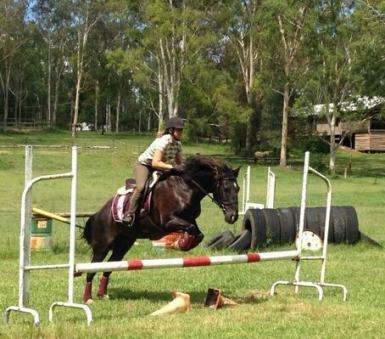 I have given a couple of friends lessons on Star Crossed and he shows them their first flying changes and piaffe.